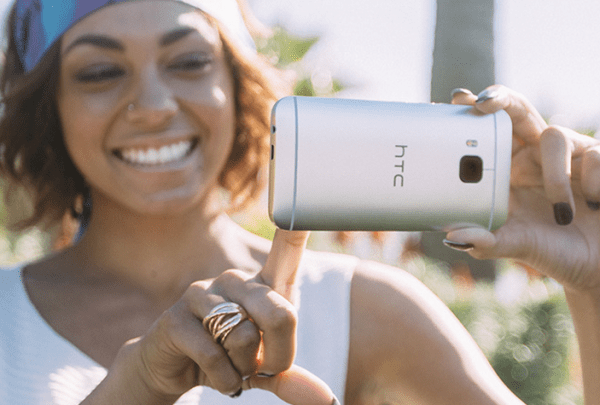 We earlier brought you the news that Vodafone will be stocking the HTC ONE M9. We now have confirmation from them that the device is up for pre-order, via their website. Prices range from £43.50 per month, with a £19 up front cost on a Vodafone Red 4G plan. …just wanted to let you know that the NEW HTC One M9 is now available to pre-order at Vodafone UK. With an elegantly slim all-metal dual-tone unibody with mirror-polished edges, the new HTC One M9 has a truly premium look and feel. Its large 5” Full HD screen offers an exceptional user experience, combined with amazing sound from the ultra-sharp Dolby Audio surround sound speakers. There’s also a 20MP camera at the back of the phone and a 4 UltraPixelTM selfie camera for sharp and natural photos. Prices for the HTC One M9 start from £43.50 per month with a £19 upfront cost on a Vodafone Red 4G Price Plan, which includes unlimited minutes, unlimited texts and 4GB of data – you can also enjoy free access to Spotify Premium, Sky Sports Mobile TV or a NOW TV Entertainment Pass as part of Vodafone’s Ultimate 4G Entertainment Package.